Whenever people ask me what I love most about living in Mexico City, my immediate response is always: the food. The food in Mexico City is unlike any other city I’ve ever lived in. You can have the best meal of your life on a street corner holding a plate wrapped in a plastic bag. The trouble with those amazing places is that they often come and go before you can even tell anyone about them. I’ve lost count of how many incredible tacos I’ve tried around the city, only to head back there two or three weeks later to discover the stand has been taken over by someone else or it’s just completely gone. But have no fear. There are so many amazing restaurants in Mexico City and I am quite literally discovering new ones every single weekend (it’s tough work, but I’m willing to sacrifice myself and my waistline for the good of the people). 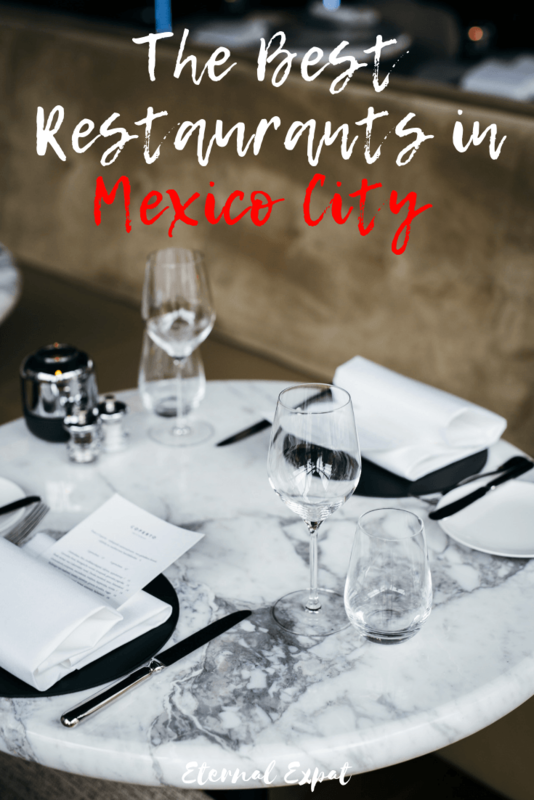 After living in Mexico City for over two years, trying countless restaurants along the price spectrum, and comparing notes with food-loving friends like the Curious Mexican, I’m certain this is the perfect list of restaurants in Mexico City to get you started on your first trip to this foodie metropolis. High-end restaurants are on almost every corner of neighborhoods like Condesa, Polanco, and more and more in Roma, too. These are the restaurants where you’ll be able to enjoy fine dining for a fraction of what it would cost in cities like New York or London. You can expect to pay anywhere from $60-$150 per head at these restaurants. Be sure to make a reservation at these places well in advance (we’re talking a month or more), because they’re very popular. No list of best restaurants in Mexico City (and indeed Mexico as a whole) without talking about Pujol. Chef Enrique Olvera is one of the most renowned chefs in the country and for good reason. The food at Pujol continues to delight. 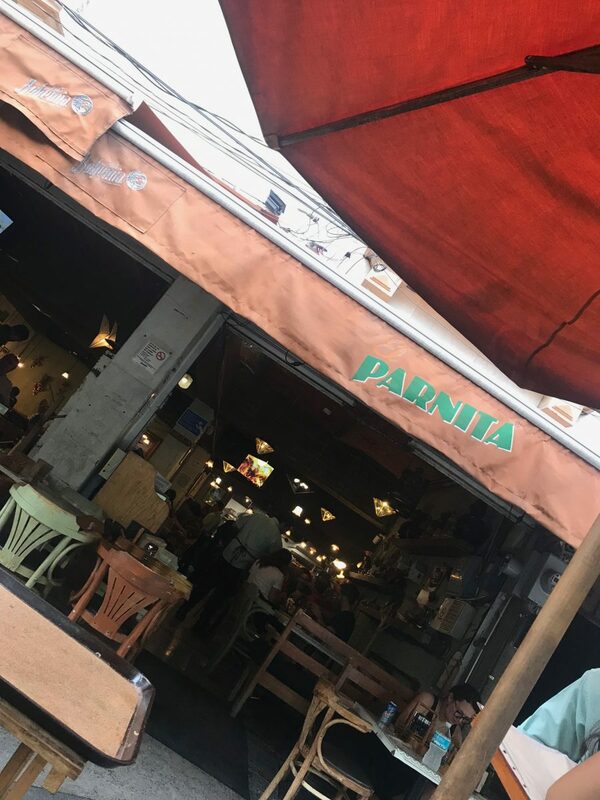 They recently opened up at a new location in Polanco where there is more outdoor space and even a taco degustation menu. I headed to Pehüa recently for a nice celebration with Luke. We opted to have their tasting menu which was absolutely delicious. They use tons of Mexican ingredients and each dish was absolutely packed with flavor. Unfortunately, service can be a bit hit or miss here from what I’ve heard from other friends. We had excellent service the night we were there, albeit a touch slow. If it’s top class service you’re looking for, it doesn’t get better than at Lorea. The staff couldn’t have been more attentive. You definitely need to make a reservation here as there are only a few tables inside this little restaurant, but the meal is such an incredible experience. There is no real menu to speak of. When you come to Lorea you get the tasting menu of the season. You can opt to pair it with drinks, which we did when we came, but I would have rather stuck to their incredible cocktails all night. Quintonil has made a huge name for itself among foodies in Mexico City. 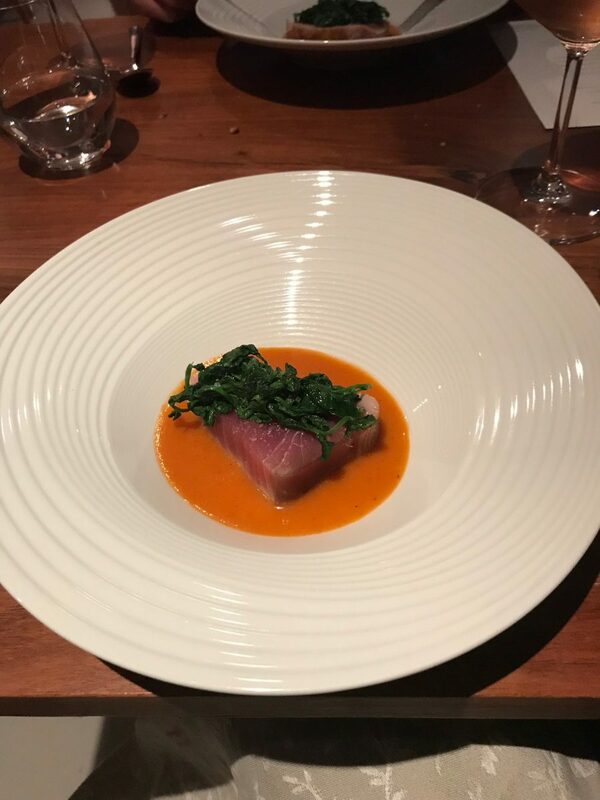 Like many of the restaurants on this high-end list, they offer a spectacular tasting menu with a real emphasis on seafood and Mexican ingredients. You’ll definitely need to make a reservation several weeks in advance to get a table here. The outside of the restaurant because it was too dark inside to take photos of the amazing food. For some reason, people don’t talk about this place as much as I think they should. Perhaps because it’s a slight trek from the usual neighborhoods in the center of the city. You’ll need to grab an Uber to the area near San Angel, but it is worth every mile you have to travel. 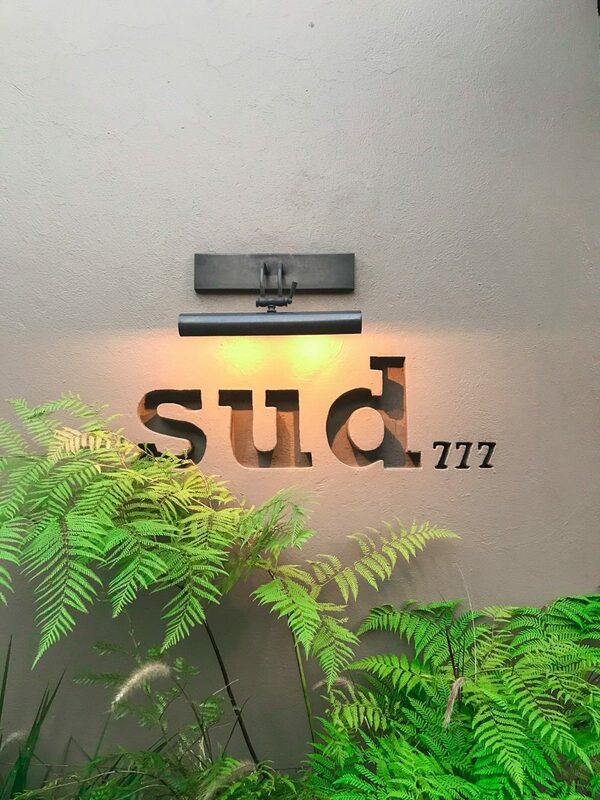 Sud 777 is home to chef Edgar Nuñez, who trained at the famed El Bulli in Spain. You can see the creativity he learned there in every dish he produces. When we went we opted for the tasting menu, but the a la carte menu is packed with amazing dishes, too. He came over to the table with the first course, which was a light salad of ingredients that are grown in the restaurants own garden. We then continued to be amazing by things like fish donuts (literally the best thing I’ve ever eaten) and onion ice cream. Every course pushes your boundaries of what you believe food should be and I absolutely loved the experience. One of the first real farm-to-table restaurants in Mexico City, Maximo Bistrot has made a name for itself as a place for amazingly fresh, seasonal foods. They have Mexican-style dishes fused with Mediterranian flavors and French cooking. It sounds like it shouldn’t work, but oh trust me, it does. This is one of my favorite restaurants in Mexico City. Tucked along the leafy Calle Amsterdam in Condesa, you could easily walk past this restaurant and think nothing of it. Except for the fact that it is ALWAYS busy. 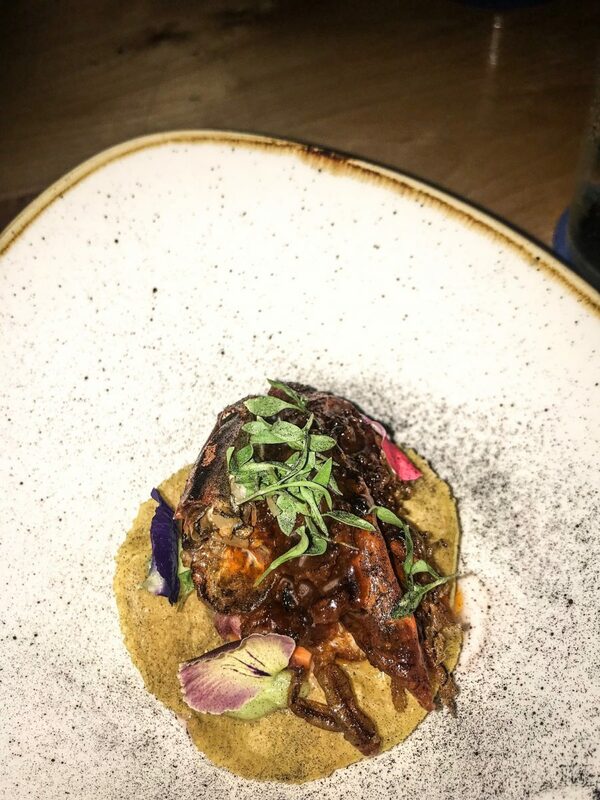 You should definitely make a reservation if you want to come here for dinner, which you should even if you are only in Mexico City for a few days. It’s all about Baja food here, as in the Mexican state of Baja California. You’ll find deliciously fresh and spicy aguachile, perfectly cooked sea bass and snapper, as well as seriously good meat dishes like rabbit and slow-roasted pork. The service is spectacular and the wine list is packed with Mexican wines from Valle de Guadalupe. The middle-range restaurants are places where you can sit down for an incredible meal without spending a fortune. The ones I list here range in price from $20-$50 per head including drinks. This was one of the first truly incredibly restaurants I tried when I first moved to Mexico City. It’s another one that isn’t super close to, well, anything, but it’s worth trekking out to this older neighborhood. Trust me, all of the Mexicans do, too. It’s a family-style restaurant but done in an elevated way. Be sure to book a table, even for lunch, that’s how busy this place gets. You’ll have better luck if you’re willing to come on a weekday. One of the things I love about this place is that no matter what type of meat you order, it’s served with piping hot, freshly made tortillas. The sauces are all rich and packed with complex flavors. I highly recommend the duck. This little hole-in-the-wall place is one of my absolute favorite spots in the city. I think we’ve brought just about every guest who’s come to visit us in Mexico City to this restaurant. It’s a huge crowd pleaser because they have a top class wine menu and because the food is flexible. The menu is broken into three parts – the meat, the sauce, and the side. You can mix and match whatever meat you want with a suitable sauce and then choose your side. I’ve been about four or five times now and tried something different each time. I’m never disappointed. I only recently checked this popular Roma lunch spot out and I’m so glad that I did. Their tacos are out of this world. The quality of the meat, the fresh tortillas, the tortas packed with meat and cheese, the dips, the salsas, the ice cold beers. There’s nothing better. Just get there early (like as soon as they open) because the line out the door grows quickly. I’ve yet to try this popular new kid on the block, but it has quickly made headlines as one of the best places to have Oaxacan food outside of Oaxaca. It’s all about the moles and meats here in the evening. However, it may be best known for it’s brunch. Head here for freshly baked pan de yema and steaming cups of hot chocolate. Another popular brunch and lunch spot, Lalo is a very popular Condesa/Roma spot to see and be seen. Be sure to try their housemade breads and cakes as well as their ever-popular chilaquiles. Surrounding Parque Lincoln is the area known as Polanquito, or little Polanco. It’s home to tons and tons of restaurants and cafes, including Surtidora Don Batiz. They make an outstanding ceviche, great mole dishes, and a nice selection of other classic Mexican dishes at a reasonable price. They also make their own lemonades which taste SO good on a hot day. Be sure to grab a table outside so you can do some good people watching. My love for Edgar Nuñez (the head chef of the above Sud 777), extends to his lunch spot in Polanco. It’s popular amongst the business crowd at lunchtime during the week, but it’s also open on weekends and isn’t nearly as busy. If you want some seriously good classic Mexican dishes done with local ingredients and a bit of flare, I highly recommend lunch here. 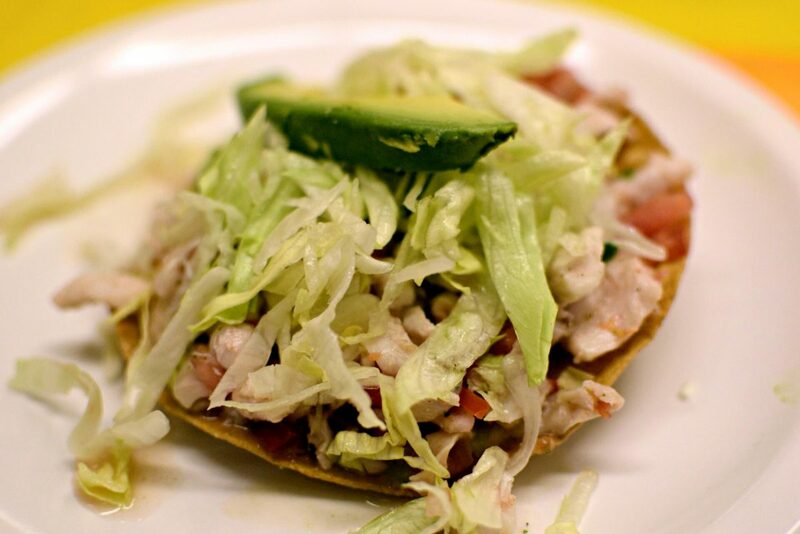 Budget eats abound in Mexico City, but not all taco restaurants are created equal. These are the best places to have a taco, a tostada, a delectable snack, without spending more than $10 per person. This remains one of my absolute favorite places to have Pastor tacos in Mexico City. Pork marinated in joy and then cooked on a spit roast, you’ll see it all over the city. I like to get it alambre style here – cooked up with onion, pepper, and bacon and I always ask for a side of pineapple because it’s pastor and it a requirement in my books. They also make a great dish called an envuelto which is when they melt the cheese on the flat-top grill before filling it with a meat of your choice (the pastor goes really well with this). It’s served with flour tortillas. For some of the best tostadas in the city at a very reasonable price (last I checked it was about 35 Pesos or just under $2 for one). My absolute favorite is the ceviche, it’s the one I order every single time I go there. It’s worth noting that all of the topping are served cold, so don’t be shocked if you order the chicken mole and it’s not steaming hot when it’s served. The restaurant is inside the Coyoacan Market, so just head inside and look for the bright yellow area – yellow tablecloths, signs, and people dressed in yellow. So many guisados to choose from at Tacos Hola! 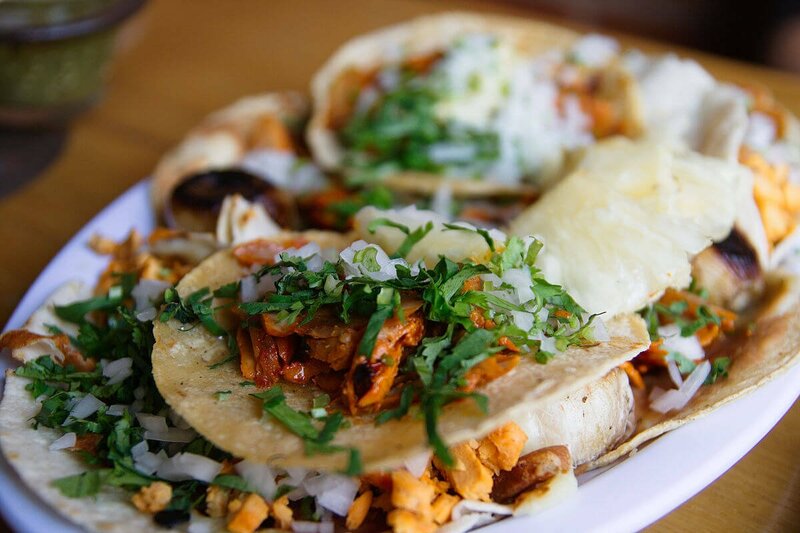 If you want to try guisado tacos, or tacos filled with different stewed meats, this is one of the best places to try it. They have a huge selection of vegetarian options available, too. Head to El Greco for tacos arabe, which are filled with meat cooked on a spit similar to pastor, but spiced differently and served inside a tortilla that’s more like a pita than a tortilla. It’s fluffy and filling and a little bit greasy, but packed with flavor. Just be warned, the salsas here are hot. This is a really great spot for suadero tacos, which are made with stewed pork meat in a variety of spices. I love just getting a few of their suadero tacos as well as a bowl of the birria. A small bowl is enough for two people to share if you’re also having some tacos. 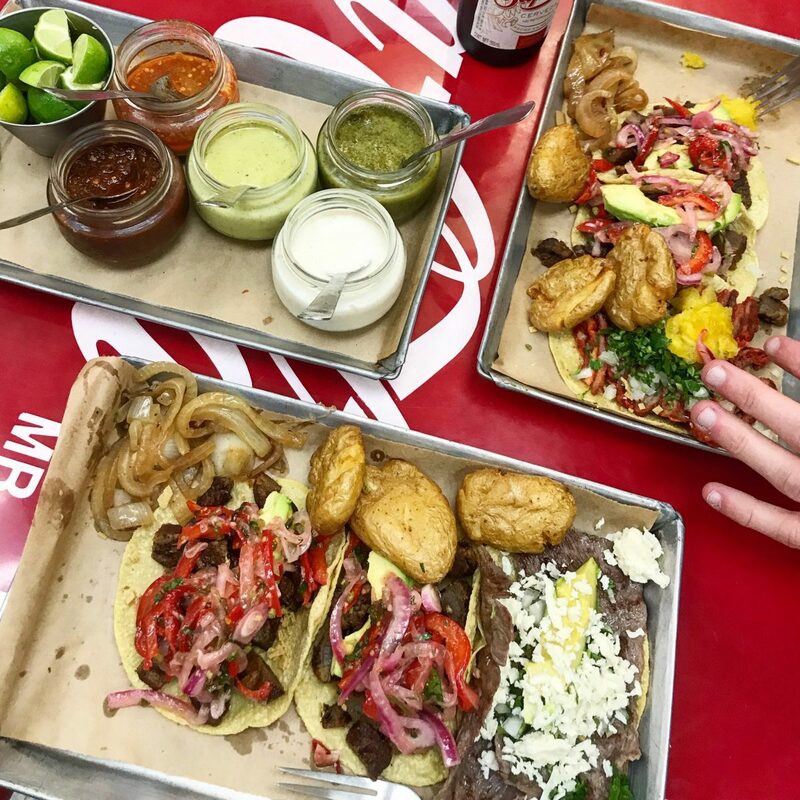 Orinoco is a new-ish taco spot in Mexico City that serves the late-night crowd on the weekends, but their tacos are tasty no matter what time of day or how many beers you’ve consumed before eating them. Just be warned, the later you come on a Friday or Saturday night, the busier it gets! They do three main types of tacos here, pastor (which they call trompo), steak, and chicharron. I absolutely adore their chicharron and always get at least one of those. The steak is always excellent, too – juicy, well-cooked and served with some avocado. The salsas on the table are really flavorful and go well with the smashed potatoes you get as a free side with your tacos. For excellent cochinita tacos, a specialty of the Yucatan region, it doesn’t get much better than El Turix. There is nothing else on the menu besides cochinita. Order it by the kilo to take home with your or have it in a taco, torta, or on a panucho. The salsa is super spicy, made with habanero chilis, and goes perfectly with the meat. Just add a tiny bit at a time and be sure to ask for your tacos with onions (con cebollas). 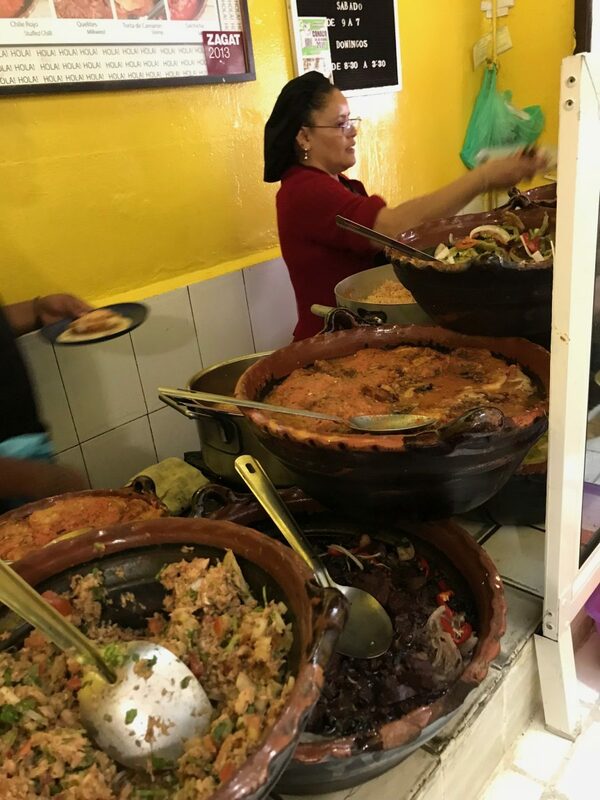 I’ve written in detail about street food in Mexico City, but as I mentioned above, stands and street vendors come and go regularly, so it can be hard to pin down exactly the one someone recommends. I recommend always heading to outdoor markets, which are called Tianguis in Mexico. Tianguis are weekly markets that pop up around every neighborhood in Mexico City to sell local produce and seriously good street food. These are always excellent places to head for good street food. The Condesa tianguis is held every Tuesday on Calle Pachuca between Agustín Melgar and Juan de la Barrera. The Polanco tianguis is on a Saturday around Parque Lincoln. You’ll find another in Roma near Parque Pushkin on Sundays and one at Plaza Via de Madrid on both Saturdays and Sundays where they make some of the best mixiote tacos I’ve ever tasted. Grab a Copy of My Mexico City Guidebook! Want more insider tips to Mexico City? 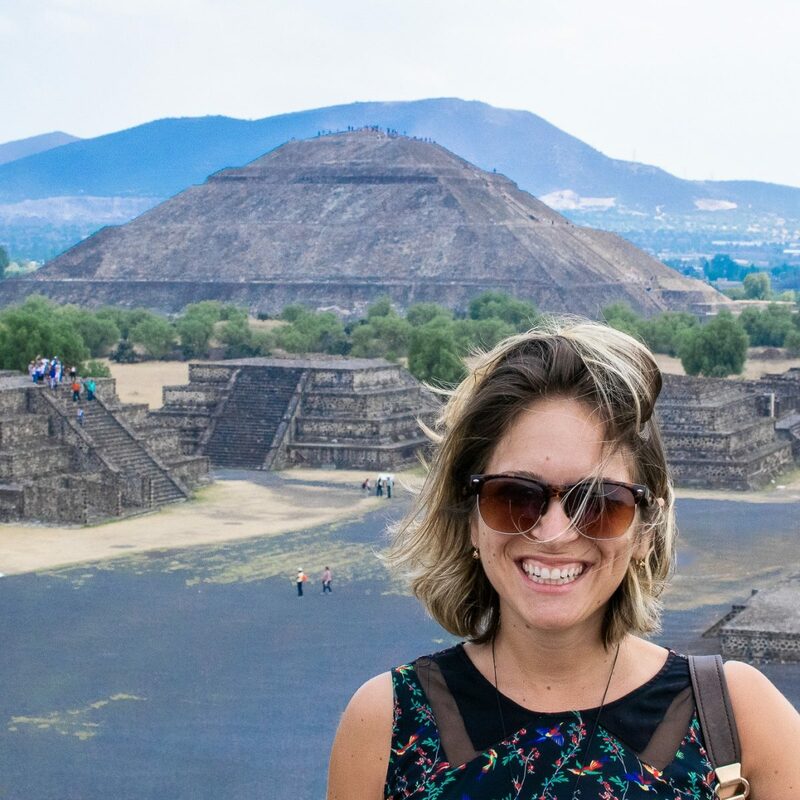 In my Mexico City Guidebook I talk about all of my favorite local restaurants, street vendors, boutique hotels, funky off-the-beaten-path sights to explore, and also include tips for traveling around the city.